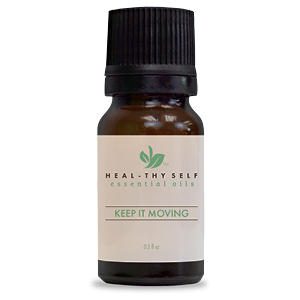 Recommended Use: Apply with the carrier oil to the back of neck, wrists or bottom of the feet. Topical application: Mix 6 drops of essential oil in 20 ml of carrier oil. Apply to affected area up to 3 times per day.Not for oral use. Avoid contact with eyes and mucous membranes; if this happens, rinse thoroughly with vegetable oil. Do not use essential oils undiluted. Cautions: Keep out of reach of children. If accidental ingestion occurs, seek urgent medical attention or contact a Poison Control Center. Do not expose the applied areas to the sun for 24 to 48 hours after application. If you are pregnant or breastfeeding, do not use this product. If you have broken, irritated, or sensitive skin, do not use this product. If you experience nausea, dizziness, headache or an allergic reaction, discontinue use. 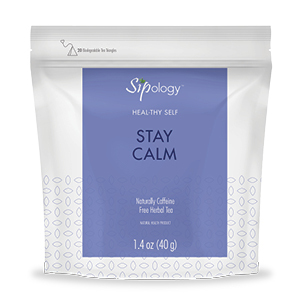 Each tea triangle (2.0 g) contains: St. Johns wort (Hypericum perforatum, herb) 660 mg, Valerian (Valeriana officinalis, root) 300 mg, Catnip (Nepeta cataria, leaf) 175 mg, Peppermint (Mentha piperita, leaf), Apple, Lemongrass (Cybopogon citratus, leaf), Ginkgo biloba (Ginkgo biloba, leaf). Recommended use: Valerian and St. John's Wort is traditionally used in Herbal Medicine to help relieve nervousness (calmative/sedative). * *This statement has not been evaluated by the Food and Drug Administration. This product is not intended to diagnose, treat, cure, or prevent any disease. Duration of use: Consult a health care practitioner for use beyond 18 weeks. Use for a minimum of 1 week to see beneficial effects. Recommended dose: Adults: 1 biodegradable tea triangle 1-3 times per day. Directions of use: Steep 1 tea triangle in 1 cup (240 ml) freshly boiled water for 10-15 minutes. Gently squeeze the tea bag to release the remaining extract. Cautions and Warnings: Avoid prolonged exposure to sunlight, ultraviolet light (UV) or UV therapy. Consult a health care practitioner if symptoms persist. Consult a health care practitioner if symptoms worsen. Consult a health care practitioner prior to use if you are pregnant or breastfeeding. Consult a health care practitioner prior to use if you are taking anti-anxiety medications, seizure medications, antihistamines, bronchodilators, muscle relaxants and/or opiates. Consumption with alcohol, other medications or natural health products with sedative properties is not recommended. Contraindications: Do not use if you are pregnant. Do not use if you are taking anti-cancer medications, blood thinners, antidepressant medications (e.g. selective serotonin reuptake inhibitors (SSRI), anti-HIV agents, cardiovascular medications, immunosuppressants, and/or contraceptive medications. Known adverse reactions: Hypersensitivity, such as an allergy, has been known to occur; in which case, discontinue use. Some people may experience mild gastrointestinal disturbances, nausea, restlessness and/or headaches. Some people may experience drowsiness. Exercise caution if operating heavy machinery, driving a motor vehicle or involved in activities requiring mental alertness within 2 hours of consumption. 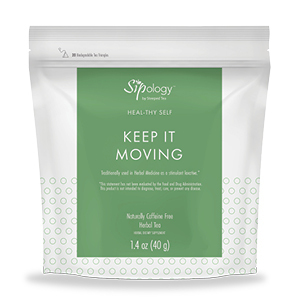 Each tea triangle (1.9 g) contains: Valerian (Valeriana officinalis, root) 400 mg, Lemon balm (Melissa officinalils, leaf) 350 mg, Passionflower herb (Passiflora Incarnata, herb top) 300 mg, Cinnamon bark (cinnamomum cassia), Orange peel (Citrus sinensis L. Osbeck). Recommended use: Passionflower, valerian, and lemon balm are traditionally used in Herbal Medicine as a sleep aid (in cases of restlessness or insomnia due to mental stress). Recommended dose: Adults: 1 biodegradable tea triangle 1-3 times per day. * *This statement has not been evaluated by the Food and Drug Administration. This product is not intended to diagnose, treat, cure, or prevent any disease. Cautions and Warnings: Consult a health care practitioner if sleeplessness persists continuously for more than 3 weeks (chronic insomnia). Consult a health care practitioner if symptoms persist. Consult a health care practitioner if symptoms worsen. Consult a health care practitioner prior to use if you are pregnant or breastfeeding. Consumption with alcohol, other medications or natural health products with sedative properties is not recommended. Known adverse reactions: Hypersensitivity (e.g. allergy) has been known to occur; in which case, discontinue use. Some people may experience drowsiness. Exercise caution if operating heavy machinery, driving a motor vehicle or involved in activities requiring mental alertness within 2 hours of consumption. Each tea triangle (2.3 g) contains: Marshmallow (Althaea officinalis, root), 1100 mg, Holy basil (Ocimum tenuiflorum, leaf) 800 mg, Mango fruit. Recommended use: Marshmallow root & Holy Basil leaf are traditionally used in herbal medicine as a demulcent to relieve the irritation of the oral and pharyngeal mucosa and associated dry cough. Directions of use: Steep 1 tea bag in 1 cup (240 ml) of cold water for 30 minutes. Gently squeeze the tea bag to release the remaining extract. Strain and warm (if desired) before drinking. Cautions and Warnings: If you are pregnant or breastfeeding, consult a health care practitioner prior to use. If you are taking any heart or blood pressure medication, consult a health care practitioner prior to use. If you have a heart condition or diabetes, consult a health care practitioner prior to use. If symptoms persist or worsen, consult a health care practitioner. Contraindications: If you are pregnant, do not use this product. Each tea triangle (2.0 g) contains: Cinnamon (cinnamomum cassia, bark) 650 mg, Ginger (Zingiber officinale, root) 400 mg, Licorice (Glycyrrhiza glabra, root) 300 mg, Peppermint (Mentha piperita, leaf) 100 mg, Lemon balm (Melissa officinalils, leaf) 100 mg, Sweet fennel (Foeniculum vulgare subsp. vulgare var. dulce, seed) 50 mg, Hibiscus flower (Hibiscus sabdariffa), Orange peel (Citrus sinensis L. Osbeck). Recommended use: Traditionally used in Herbal Medicine to help relieve digestive upset/disturbances including lack of appetite, nausea, digestive spasms, indigestion, dyspepsia and flatulent colic (carminative). * *This statement has not been evaluated by the Food and Drug Administration. This product is not intended to diagnose, treat, cure, or prevent any disease. Cautions and Warnings: If breastfeeding, consult a health care practitioner prior to use. If you have diabetes, consult a health care practitioner prior to use. If symptoms persist or worsen, consult a health care practitioner. Consult a health care practitioner prior to use if you have a liver disorder. Consult a health care practitioner prior to use if you have gallstones. Consult a health care practitioner prior to use if you have anaemia. Consult a health care practitioner prior to use if you are breastfeeding. Consumption with alcohol, other medications or health products with sedative properties is not recommended. Contraindications: If pregnant, do not use this product. Do not use if you have hypokalemia, high blood pressure, or a kidney or cardiovascular disorder. Do not use if you are taking thiazide diuretics, cardiac glycosides, corticosteroids, stimulant laxatives or other medications which may aggravate electrolyte imbalance. Do not use if you are allergic to anethole or plants of the Apiaceae/Carrot family. Known adverse reactions: Hypersensitivity (e.g. allergy) has been known to occur (rare cases); in which case, discontinue use. Some people may experience drowsiness. Exercise caution if operating heavy machinery, driving a motor vehicle or involved in activities requiring mental alertness within 2 hours of consumption. Cold Pressed Virgin Argan Oil (Origin: Morocco), Cold Pressed Camellia Seed Oil (China), Coconut Fractionated Carrier Oil (Malaysia). Ginger Essential Oil (Zingiber officinale - Rhizome)(Origin: Indonesia) 100 % Peppermint Essential Oil (Mentha x piperita - Twig flowering)(Origin: India) 100% Lemongrass essential oil (Cymbopogon citratus - Herb top)(Origin: India) 100%. 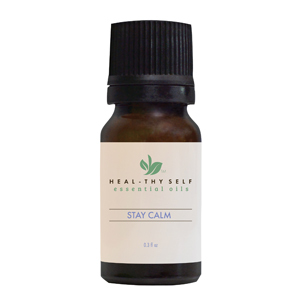 Eucalyptus essential oil (Eucalyptus globulus -Leaf)(Origin: Australia) 100% Tea Tree essential oil (Melaleuca alternifolia -Leaf)(Origin: Australia) 100% Frankincense essential oil (Boswellia sacra- Stem resin)(Origin: India) 100%. Lemon balm essential oil (Melissa officinalis-Leaf (Origin: USA) 100%. Lavender essential oil (Lavandula angustifolia-Herb top flowering)(Origin: Bulgaria) 100%. Marjoram Essential Oil (Origanum majorana-Herb top flowering)(Origin: Egypt) 100%. Cedarwood essential oil (Cedrus atlantica - wood )(Origin: Morocco) 100% Sandalwood essential oil (Santalum album - wood)(Origin: India) 100% Sweet basil essential oil (Ocimum basilicum - Herb top)(Origin: India) 100%. Each tea triangle (2.1 g) contains: Turmeric Root (Curcuma longa) 400 mg, Cinnamon Bark (Cinnamomum verum) 250 mg, Calendula Flower (Calendula officinalis) 200 mg, Ginger Root (Zingiber officinale) 200 mg, Caraway Seeds (Carum carvi L.) 100 mg, Black Pepper (Piper nigrum L.) 50 mg. non-Medicinal ingredients: Black tea (Camellia sinensis), Rooibos (Aspalathus linearis), Cloves (Syzygium aromaticum). 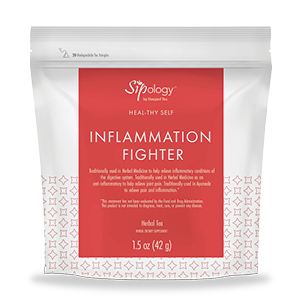 Recommended use: Traditionally used in Herbal Medicine to help relieve inflammatory conditions of the digestive system. Traditionally used in Herbal Medicine as an anti-inflammatory to help relieve joint pain. Traditionally used in Ayurveda to relieve pain and inflammation. Duration of use: For use beyond 12 weeks, consult a health care practitioner. Cautions and Warnings: Consult a health care practitioner if symptoms persist or worsen. If you are pregnant or breastfeeding, consult a healthcare practitioner prior to use. Consult a health care practitioner/health care provider/health care professional/ doctor/physician prior to use if you have gallstones, a bile duct obstruction, stomach ulcers or excess stomach acid, or are experiencing acute abdominal pain. If you are taking any other medications or natural health products, consult a health care practitioner prior to use, as black pepper/piperine may alter their effectiveness. If you have diabetes, consult a health care practitioner prior to use. Contraindications: Do not use if you are allergic to plants of the Asteraceae/Compositae/Daisy family, or the Apiaceae/Carrot family. If pregnant, do not use this product. Known adverse reactions: Hypersensitivity (e.g., allergy) has been known to occur; in which case, discontinue use. Each tea triangle (2.0 g) contains: Fennel Seed (Foeniculum vulgare Mill. subsp. vulgare var. dulce) 1500 mg., Raspberry leaves (Rubus idaeus, leaf), Spearmint leaves (Menthe viridis, leaf). Recommended use: Traditionally used in Herbal Medicine to help relieve the pain associated with menstruation. Cautions and Warnings: Consult a health care practitioner if symptoms persist or worsen. Consult a health care practitioner prior to use if you are pregnant or breastfeeding. Known adverse reactions: Hypersensitivity (e.g. allergy) has been known to occur (rare cases); in which case, discontinue use. Each tea triangle (2.0 g) contains: Senna Leaf (Senna alexandrina) 900 mg, Fennel Seed (Foeniculum vulgare Mill. subsp. vulgare var. dulce) 600 mg, Fenugreek Seed (Trigonella foenum-graecum) 200 mg, Lime. Recommended use: Traditionally used in Herbal Medicine as a stimulant laxative. Duration of use: Consult a health care practitioner for use beyond 7 days. Cautions and Warnings: Consult a health care practitioner if symptoms persist or worsen. Consult a health care practitioner prior to use if you are taking thiazide diuretics, corticosteroids, licorice root or other medications or health products which may aggravate electrolyte imbalance. Consult a health care practitioner if you are pregnant or have diabetes. Consult a health care practitioner prior to use if you have a kidney disorder or are taking cardiac medications such as cardiac glycosides or antiarrhythmic medications. Consult a health care practitioner prior to use if you have faecal impaction or symptoms such as abdominal pain, nausea, vomiting or fever. Reduce dose or discontinue use if you experience abdominal pain, cramps, spasms and/or diarrhoea. Contraindications: Do not use if you are pregnant or breastfeeding. Do not use if you are allergic to anethole or plants of the Apiaceae/Carrot family. Do not use if you have abnormal constrictions of the gastrointestinal tract, potential or existing intestinal blockage, atonic bowel, appendicitis, inflammatory colon disease such as Crohn's disease or ulcerative colitis, abdominal pain of unknown origin, undiagnosed rectal bleeding, severe dehydration with depleted water or electrolytes. Known adverse reactions: Hypersensitivity is known to occur, in which case, discontinue use. White Camphor Essential Oil (Cinnamomum camphora)(Origin: China) 100%, Cinnamon bark Essential Oil (Cinnamomum verum)(Origin: Madagascar) 100%, Clove Essential Oil (Syzygium aromaticum Bud, stem only)(Origin: India) 100%. 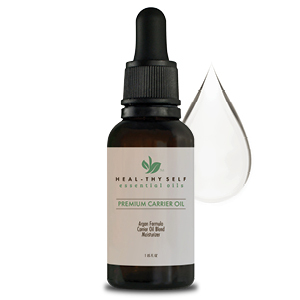 Topical application: Use 6 drops of essential oil in 20 mL of carrier oil. Add to a diffuser or dilute with a carrier oil for external use. Not for oral use. Avoid contact with eyes and mucous membranes; if this happens, rinse thoroughly with vegetable oil. Do not use essential oils undiluted. Cautions: Keep out of reach of children. If accidental ingestion occurs, seek urgent medical attention or contact a Poison Control Center. Do not expose the applied areas to the sun for 24 to 48 hours after application. If you are pregnant or breastfeeding, do not use this product. If you have broken, irritated, or sensitive skin, do not use this product. If you experience nausea, dizziness, headache or an allergic reaction, discontinue use. Store at room-temperature. Clary Sage Essential Oil (Salvia sclarea)(Origin: France) 100%, Geranium Essential Oil (Pelargonium graveolens)(Origin: Egypt) 100%, Sweet Orange Essential Oil (Citrus sinensis)(Origin: Brazil) 100%. Sweet Fennel Essential Oil (Foeniculum vulgaresubsp. vulgare var. dulce) (Origin: Hungary) 100%, Sweet Basil Essential Oil (Ocimum basilicum)(Origin: India) 100%, Peppermint Essential Oil (Mentha x piperita)(Origin: India) 100%.